The Social Security Administration (SSA) has a policy that social security numbers are issued to F-1 international students for the purposes of employment only. Therefore students must show employment authorization when applying for a social security number. Students can obtain work authorization for On-Campus Employment, Curricular Practical Training (CPT), and Optional Practical Training (OPT). Students who obtain employment on-campus must receive a social security letter from a Designated School Official (DSO) and a dated letter on department letterhead indicating the student's name, nature of job, start date, number of hours per week, employer contact information indicating the name of the student's immediate supervisor with original signature, title and phone number, as well as the Employer Identification Number (EIN). Please note that F-1 students who have been offered on-campus employment must wait at least 15 days after entering the U.S. to submit a social security card application. The SSA office may take between 2 to 4 weeks to process the social security application and to send an official social security card to students. Office hours for all locations may change. Visit here for additional Card Center locations. For further social security information related to international students visit here. Students can obtain more information about getting a New York State ID card or driver’s license by visiting the NYS Department of Motor Vehicle website. If you do not reside in NYS, visit the department of motor vehicle website for that state. Please visit the New York State Department of Motor Vehicles (DMV) for more information. 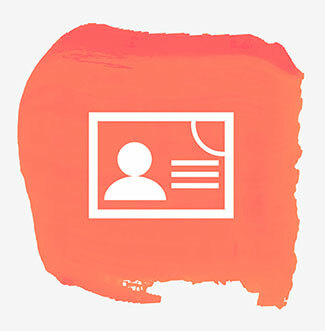 An F-1 international student seeking to get a State ID card or a driver’s license other than NYS should apply to the department of motor vehicles office in the state where they reside.